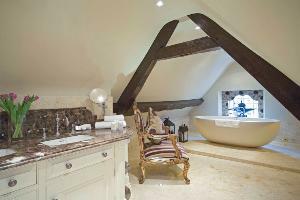 The Jacobean Suite has an Emperor sized hand carved four poster bed and the bathroom has a burnished gold claw foot bath with a separate shower enclosure. This beautiful suite overlooks the garden and has the finest of furnishings - all carefully chosen to enhance the pleasure of your stay. 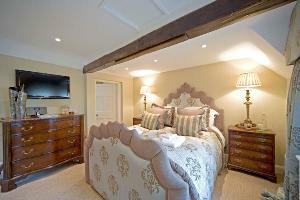 Perfect if you wish to indulge in the escapism of a romantic break. 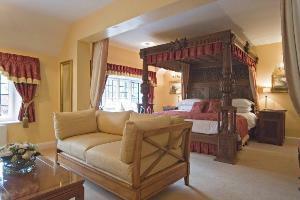 The cost of this suite is £225 per night, inclusive of full English breakfast. 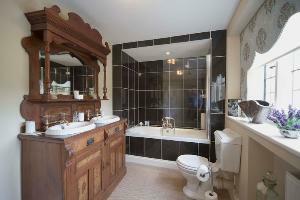 The stunning Spencer Suite is located at the top of the house and offers total privacy. 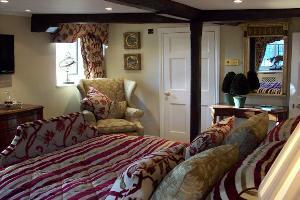 The bedroom has a King Size bed and is furnished with antiques. 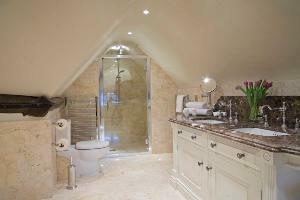 The limestone bathroom has an oval shaped Castello stone bath and a large walk in shower. There is mood lighting and a champagne fridge to ensure a romantic stay! Bulgari accessories, complimentary aperitifs and tea and coffee making facilities are provided. 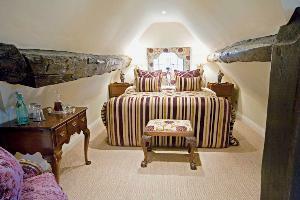 The cost of this suite is £205 per night, inclusive of full English breakfast. 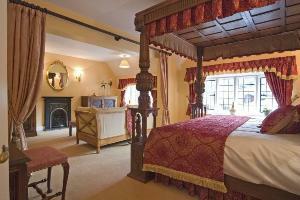 The luxurious double aspect Edwardian room has a beautiful handmade King sized bed. 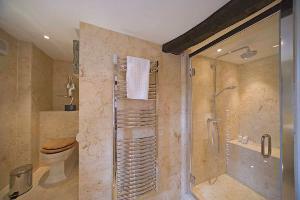 The bathroom has underfloor heating and a large walk in limestone shower, together with a heated seating bench. Bulgari bathroom products are provided. There are glorious views down into Broadway and to the hills beyond. 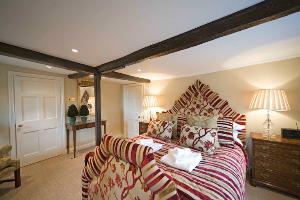 The cost of this room is £185 per night, inclusive of full English breakfast. 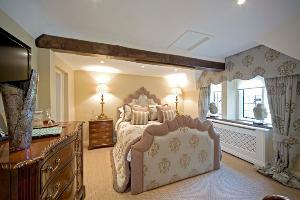 The beautiful Georgian room has a King sized bed dressed in duck egg blue and gold silk. 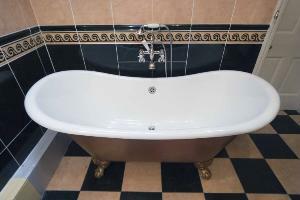 The en-suite bathroom has underfloor heating and an original Georgian double sink vanity stand and a bath with a ceiling rose shower over. Bulgari bathroom accessories are provided, as are tea and coffee facilities and complimentary aperitifs. Relax with champagne on arrival. 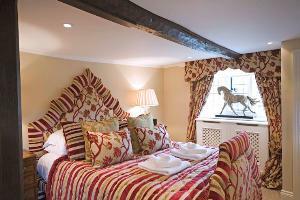 The cost of this room is £185 per night, inclusive of full English breakfast.